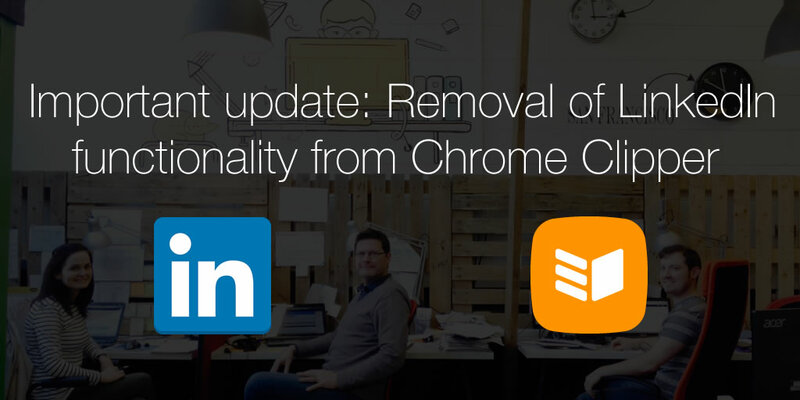 Our LinkedIn Clipper was a hugely popular feature with users and we understand this update may come as a surprise, though on this occasion, matters are beyond our control. 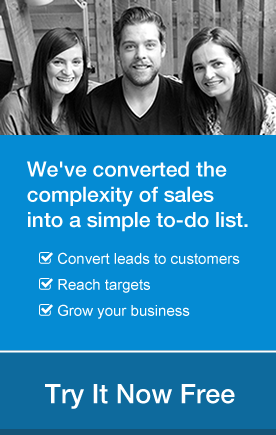 We will continue in our mission to help salespeople achieve zero admin. And with that said, here are our three alternative solutions for building relationships with your LinkedIn connections using OnePageCRM. By clicking on the LinkedIn icon below a contacts profile photo in OnePageCRM, you can search for the contact in LinkedIn. Once you’ve located the contact, you can store a copy of their profile URL in OnePageCRM, for future reference. With the new OnePageCRM Account View, we’ve brought your prospecting tools into the CRM. Conduct further research on companies by searching via LinkedIn, as well as Duedil, Hoover, Google and Facebook. LinkedIn allows users to export a copy of their connections to a .CSV file. You can then import this .CSV file to OnePageCRM, for further lead nurturing. Click here for a step-by-step guide. 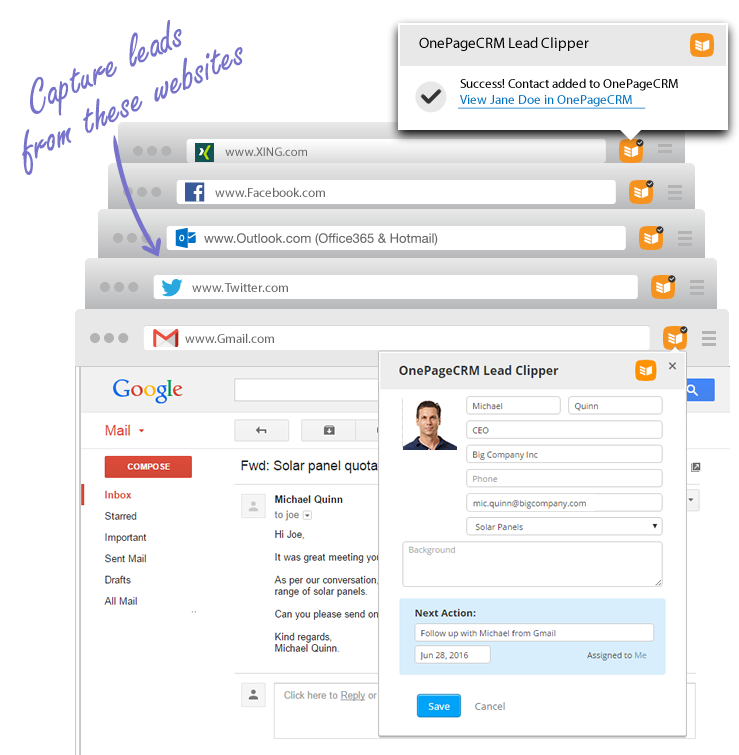 Remember, you can still use our Chrome Clipper to pull leads from Gmail, Outlook, Xing, Twitter & Facebook! With just one click you can create a contact in OnePageCRM, including a Next Action to ensure you follow-up. If you have any questions or concerns on this update, please comment below or email us at support@onepagecrm.com. I just spotted the little changes in relation to linkedin. Just tried your little suggestion on 1 above i.e Search for a Contact which works perfectly and actually (dare I say) might be handier as you have no import into the background section as some people like to put very long summaries in their linkedin profiles and we might prefer to put other info into the background section of their OnePageCRM. Perfectly happy with the above and thanks for letting us know. OnePageCRM is still everybody’s favorite work tool at EmployAbility Galway! Thanks for the great feedback! All our best to the EmployAbility Galway team!